If you live in Moore, Oklahoma and you’re in the market for a little muscle (with a side of swagger), you need to meet the 2018 Dodge Challenger. 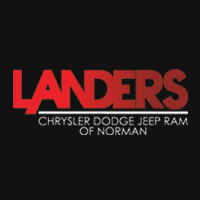 You can find a variety of Challengers at Landers Chrysler Dodge Jeep Ram in Norman, just a quick drive from Moore. The 2018 Challenger is the ultimate marriage of retro style and modern practicality. It’s like someone took the coolest car you dreamed about as a kid and filled it with all the newfangled tech you expect here in the future. You’ll definitely be the coolest cat in Moore when you’re behind the wheel of a 2018 Challenger, so come on in to Landers CDJR of Norman and take one out for a test drive. At Landers CDJR of Norman, our customers come in from across the Oklahoma City metro; including Edmond, Moore, Midwest City, Yukon and Del City. Your groovy new ride awaits. Old-school cool. We could end the description there, but we won’t. If you like the look of those far-out rides from the late 60s and early 70s, you’ll love the Challenger’s aesthetic. It works and feels like a new car, but it still jaunts down the street like it just rolled out of 1971, if you can dig that. You can’t help but feel drawn to the vintage vibe with its wide hips, low-slung roof and classic split grille. After all, the 2018 Challenger is more closely related to its predecessors from the 60s and 70s in styling — so it’s no wonder muscle car fanatics love the legendary look. 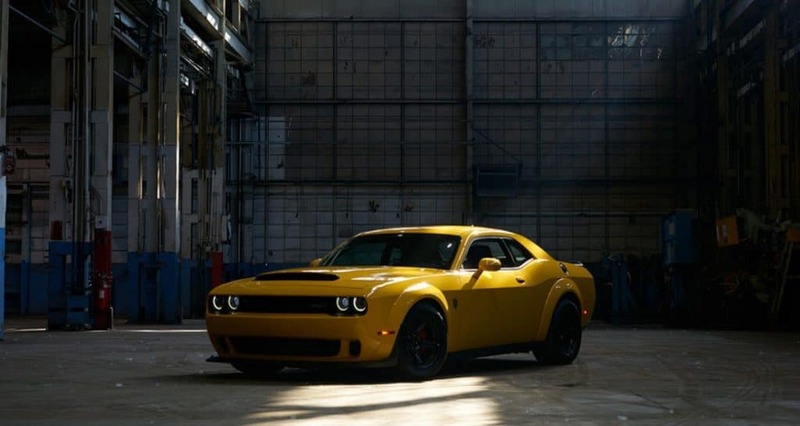 The Challenger instantly grabs your attention with its sleek design, dual rear exhaust tips and 20-inch wheels. You can customize your whip, too! The Challenger offers a number of additions like stripes, shaker graphics, badges and a number of color options. Pretty neat, right? If you’re into the muscular retro exterior, there’s not a chance you won’t be impressed when you climb inside the cab of the 2018 Dodge Challenger. With available houndstooth cloth upholstery and a sweeping driver-centric dash, the interior design is very much a nod to the 1971 model year. Of course, there are some pretty big differences. For example, the available 8.4-inch Uconnect control hub with 3D graphics was certainly not around in the vintage version. In fact, the 2018 Challenger is loaded with technology to help you stay connected with your vehicle and with the outside world. You can get your stats, 3D navigation, play your favorite music and make calls hands-free. And even though it’s a two-door coupe, your friends don’t have to miss out on any of it. The 2018 Challenger comfortably seats five people. It also offers ventilated front seats and a very spacious trunk for all your gear, whether it’s racing garb or camping supplies. 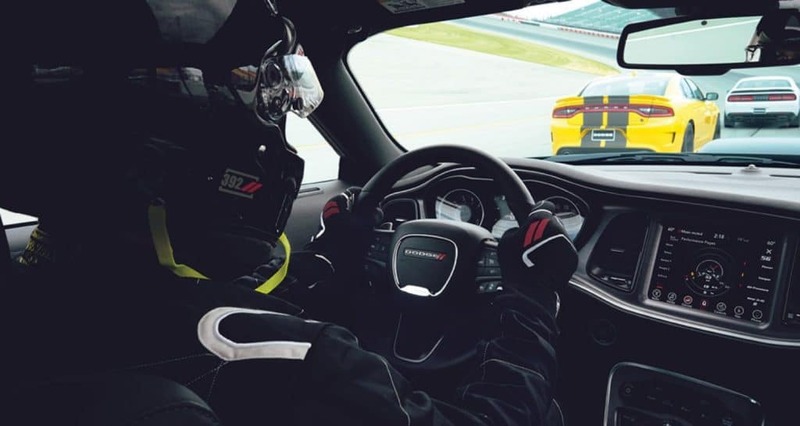 The 2018 Dodge Challenger puts out a tremendous amount of power, and it’s still surprisingly easy to handle. The raw strength of this car is coupled with a ride so quiet and smooth, it’s almost unbelievable. Electric power steering allows for optimal handling and agility along with open-throttle power. All-speed traction control helps maintain traction and stability by applying brake pressure to keep your wheels from slipping and reducing engine power when the tires need to regain traction. Because of the rear-wheel-drive design and near 50/50 weight distribution, driving the Challenger is a truly exciting experience. Weight shifts to the drive axle to boost downforce and traction during acceleration. And of course, you can get all your vehicle stats in real-time with available Dodge Performance Pages. Make your wildest dreams come true today by heading over to Landers Chrysler Dodge Jeep Ram of Norman near Moore, Oklahoma. We’ll show you our selection of swoon-worthy 2018 Dodge Challengers, and you can take your pick for a test drive. Get directions to Landers CDJR of Norman near Moore, OK.